If anyone can tell you where the comma in Faulkner is really supposed to go, or on what page to find references to furniture in Absalom, Absalom!, Noel Polk can. He is the principal editor of "The Corrected Text" editions of William Faulkner's novels, in which he examines closely the original manuscripts and typescripts by Faulkner to restore as much as possible the novelist's original intended words, phrases, and punctuation. Polk also has published concordances to Faulkner's novels, written several book-length critical studies of Faulkner's works, and co-edited several more, including Intertextuality in Faulkner, the proceedings from the Second International Faulkner Colloquium held in Paris in 1982; and New Essays on The Sound and the Fury, a volume in "The American Novel" series from Cambridge University Press. But Polk's Southern studies extend beyond William Faulkner. He has also published a bibliography on Eudora Welty's works and studies and co-authored Turning Points with John Ray Skates. Most recently, Polk has written Outside The Southern Myth, published in 1997. Polk was born in Picayune, Mississippi, on February 23, 1943. He received his B.A. and M.A. at Mississippi College and his Ph.D. at the University of South Carolina (1970). Mississippi born and bred, Polk currently teaches at the University of Southern Mississippi. 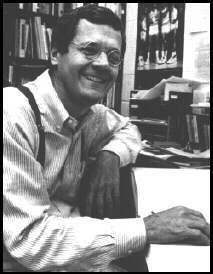 Polk was a founding member of the Mississippi Institute of Arts and Letters and taught as Professor Associé at the University of Strausbourg, 1981-82. Noel Polk is one of several distinguished alumni listed at Mississippi College's English Department web site. The Literary Manuscripts of Harold Frederic: A Catalogue. New York: Garland Pub., 1979. Faulkner's Requiem for a Nun: A Critical Study. Bloomington: Indiana University Press, 1981. An Editorial Handbook for William Faulkner's The Sound and the Fury. New York: Garland Pub., 1985. Turning Points, by John Ray Skates and Noel Polk. Jackson: Mississippi Committee for the Humanities, 1986. Eudora Welty: A Bibliography of Her Work. Jackson: University Press of Mississippi, 1994. Children of the Dark House: Text and Context in Faulkner. Jackson: University Press of Mississippi, 1996. Reading Faulkner. The Sound and the Fury. Glossary and commentary by Stephen M. Ross and Noel Polk. Jackson: University Press of Mississippi, 1996. An Anthology of Mississippi Writers. Edited by Noel E. Polk and James R. Scafidel. Jackson: University Press of Mississippi, 1979. Sanctuary: The Original Text, by William Faulkner. Edited, with an afterword and notes, by Noel Polk. New York: Random House, 1981. Intertextuality in Faulkner. Edited by Michel Gresset and Noel Polk. Papers delivered at the Second International Faulkner Colloquium, held in Paris, April 2-4, 1982. Jackson: University Press of Mississippi, 1985. Mississippi's Piney Woods: A Human Perspective. Edited by Noel Polk. Jackson: University Press of Mississippi, 1986. Natchez Before 1830. Edited by Noel Polk. Jackson: University Press of Mississippi, 1989. New Essays on The Sound and the Fury. Edited by Noel Polk. The American Novel series. Cambridge: Cambridge University Press, 1993. Absalom, Absalom!, The Typescript Setting Copy and Miscellaneous Material, by William Faulkner. Introduced and arranged by Noel Polk. William Faulkner manuscripts series, vol. 13. New York: Garland Pub., 1987. A Fable: A Concordance to the Novel. 2 vols. Edited by Noel Polk and Kenneth L. Privratsky, with an introduction by Keen Butterworth. [West Point, N.Y]: Faulkner Concordance Advisory Board ; Ann Arbor, Mich.: produced and distributed by University Microfilms International, 1981. The Hamlet: A Concordance to the Novel. 2 vols. Edited by Noel Polk and John D. Hart. [West Point, N.Y.]: Faulkner Concordance Advisory Board ; [Ann Arbor, Mich.]: Distributed by University Microfilm International, 1990. Intruder In The Dust: A Concordance to the Novel. Edited by Noel Polk, with an introduction by Patrick Samway. West Point, N.Y.: Faulkner Concordance Advisory Board, with the support of the Faculty Development and Research Fund, U.S. Military Academy and The National Endowment for the Humanities, 1983. Intruder in the Dust: Typescript Draft, Typescript Setting Copy, and Miscellaneous Material. Introduced and arranged by Noel Polk. William Faulkner manuscripts series, vol. 17. New York: Garland Pub., 1986. The Mansion: A Concordance to the Novel. 2 vols. Edited by Noel Polk and John D. Hart. [West Point, N.Y.]: Faulkner Concordance Advisory Board ; Ann Arbor, MI: Produced and distributed by University Microfilms International, 1988. Pylon: A Concordance to the Novel. Edited by Noel Polk and John D. Hart. [West Point? N.Y.]: Faulkner Concordance Advisory Board ; Ann Arbor, Mich.: Distributed by University Microfilms International, 1989. Pylon: Typescript Setting Copy and Miscellaneous Holograph Pages. Introduced and arranged by Noel Polk. William Faulkner manuscripts series, vol. 12. New York: Garland Pub., 1986. The Reivers: A Concordance to the Novel. Edited by Noel Polk and John D. Hart. [West Point, N.Y.]: Faulkner Concordance Advisory Board ; [Ann Arbor, Mich.]: Produced and distributed by University Microfilms International, 1990. Requiem for a Nun. Introduced and arranged by Noel Polk. William Faulkner manuscripts series, vol. 19. New York: Garland Pub., 1987. Requiem For A Nun: A Concordance to the Novel. Edited with an introduction by Noel Polk. [West Point, N.Y.]: Faulkner Concordance Advisory Board ; Ann Arbor, Mich.: produced and distributed by University Microfilms International, 1979. Sanctuary. 2 vols. introduced and arranged by Noel Polk. William Faulkner manuscripts series, vol. 8. New York: Garland, 1987. The Sound and the Fury. Introduced and arranged by Noel Polk. 2 vols. William Faulkner manuscripts series, vol. 6. New York: Garland, 1986. The Sound and the Fury: A Concordance to the Novel. Edited by Noel Polk and Kenneth L. Privratsky, with an introduction by André Bleikasten. 2 vols. West Point, N.Y.: Faulkner Concordance Advisory Board ; Ann Arbor, Mich.: produced and distributed by University Microfilms International, 1980. These 13: Holograph Manuscripts and Typescripts. Introduced and arranged by Noel Polk. William Faulkner Manuscripts series, vol. 9. New York: Garland Pub., 1987. The Town: A Concordance to the Novel. Edited by Noel Polk and Lawrence Z. Pizzi. West Point, N.Y.: Faulkner Concordance Advisory Board ; Ann Arbor, Mich.: produced and distributed by University Microfilms International, 1985. The Unvanquished: A Concordance to the Novel. Edited by Noel Polk and John D. Hart. [West Point, N.Y.]: Faulkner Concordance Advisory Board ; [Ann Arbor]: Produced and distributed by University Microfilms International, 1990. "Faulkner at 100," by Noel Polk. (Humanities Magazine, September/October 1997) An essay about novelist William Faulkner on the occasion of the centennial of his birth. This page has been accessed 4582 times. About this page counter.